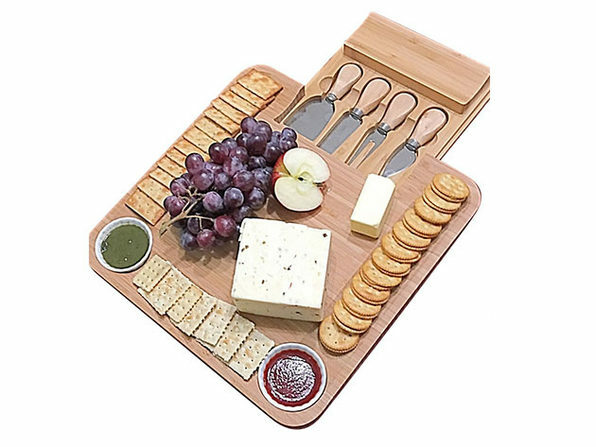 Serve up delicious treats with an equally delightful presentation on this 100% natural bamboo cheeseboard and cutlery set. 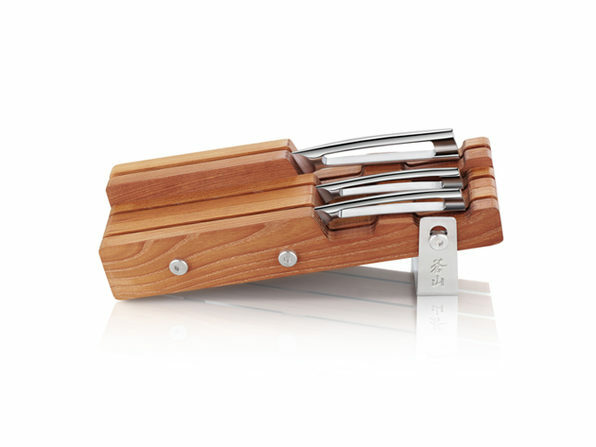 Made from organic bamboo, this cheese board is naturally antimicrobial and antibacterial. 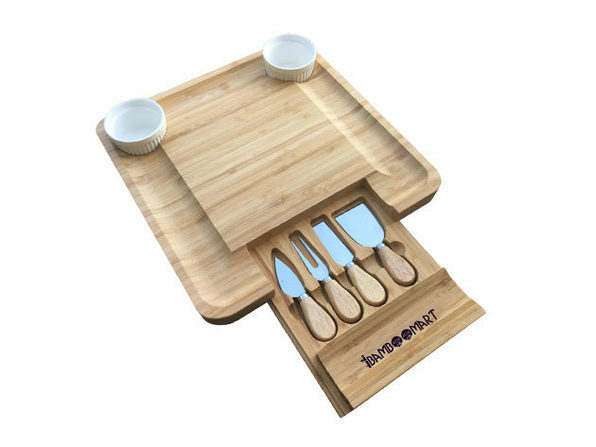 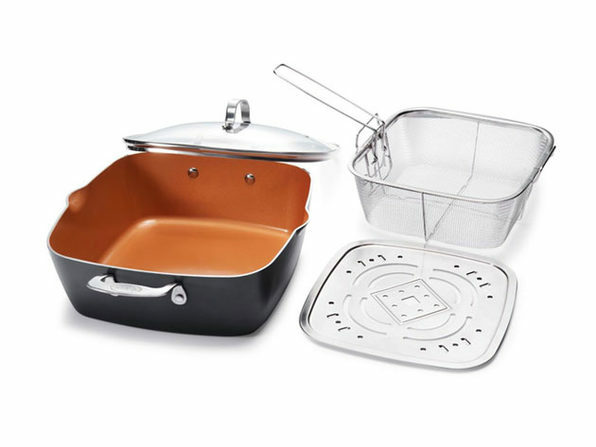 It comes with a built-in drawer that houses four stainless steel knives for preparing your favorite snacks, and it's elegantly designed with two round slots for keeping the included ramekins in place.